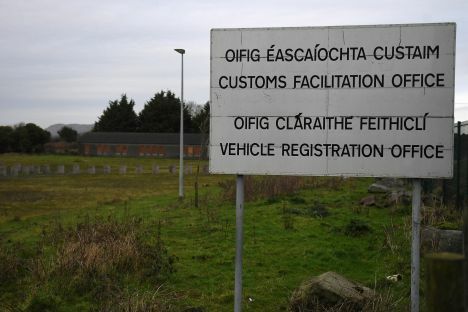 If the UK would leave the European Union without a deal, then EU and World Trade Organization border checks would be mandatory on both sides of the Irish border in the event of no-deal Brexit, a prominent expert on customs explained to The Guardian. Under WTO rules, the UK could opt for zero tariffs, but it would be obliged to offer this free-trade deal to every other country. This would mean cheap food and dairy products, which currently attract high tariffs, from countries such as Brazil or New Zealand, and might also lead to chlorinated chicken from the U.S. appearing on British supermarket shelves. «It would kill UK farming,» evaluated the expert Lux. He also said Brexiters who claim the UK won’t impose checks in Northern Ireland are naive. «If you do not apply tariffs, you would be in breach of WTO rules. One of the rules – the most-favoured nation, article 3 – is that if you apply a lower duty to one nation, you have to apply it to all members, and if the UK did that in Northern Ireland it would have to apply that right across the UK,» he said. IntertradeIreland has calculated that the extra tariffs and rules-of-origin costs that would be payable by a small bakery with clients on both sides of the border in a rural area would be a business-killing €700,000 a year.